The access to new technologies and information that is now available in agriculture means that there is plenty of opportunity for people who want to enter the market. Before you decide to invest in a farm, there is a lot of information with which you should familiarise yourself. Farming is a difficult business to take on, however, there are plenty of rewards. South Africa’s agricultural industry contributes around R 84616.92 Million to the economy. The middle-class has grown since the early 2000s and diets have become more diverse. Meat and dairy consumption, in particular, has increased. The agricultural sector is largely export-based with agricultural exports grossing around R120 billion. Farmers are increasingly finding success in diversifying their crops in relation to market demand. The agricultural sector plays a significant role in South Africa in terms of job creation. As with any business, there are several risks that you take on if you start farming. It is a business that doesn’t stick to a schedule and it will take a lot of hard work but, at the end of the day, it should be approached like any other business if you want to make a success of it. 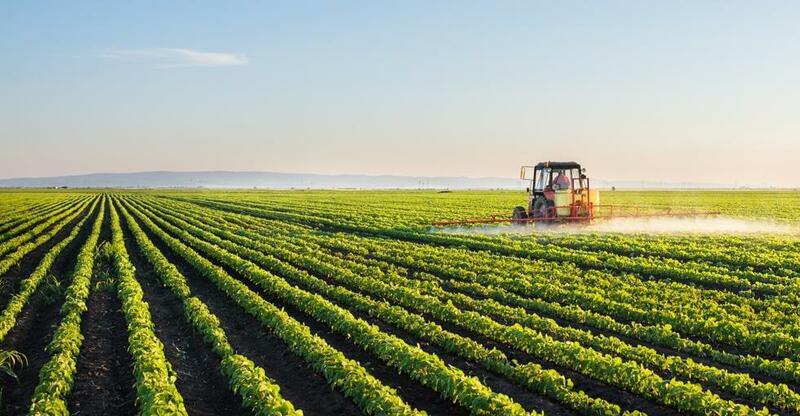 The agricultural sector in South Africa is ripe for the picking for young entrepreneurs with a lot of opportunities in a country that has a favourable currency for export and an increasing local consumption of food. Farming is not only a means of sustenance, done right, it can be an extremely specialised and lucrative business. Those thinking about going into farming should remember that there is more to running a successful farm than most people realise. These days, farms need to be up to date with new technologies and methods and owners need to have a very clear idea of the market in which they are operating. There is a global phenomenon of an ageing farming population, however, this means that there is huge room in South Africa for young entrepreneurs to create new businesses within this sector. As a business, there are a lot of factors that can influence your production such as weather conditions and, in South Africa in particular, many of the country’s farmers have struggled with drought in recent years. Ensuring that you are prepared, though, can see you through the tougher years. This may also be a great time to find a farm that is selling at an affordable rate. Climate change is a going to increasingly become a challenge to agricultural industries all over the world. Farmers and farm owners should be conscious of issues of sustainability when approaching their business. Profit margins in farming are usually narrow and so it is important to keep up to date with advancements in the industry so that you can help your farm’s profitability. Farming is not an easy business to go into. The hours will be long, and you are often at the mercy of nature and so you need to be prepared to throw yourself wholeheartedly into this business venture. There can, however, be a lot of fulfilment in going into farming. Just like with any new business, you will need to have a clear strategy before going in. Create a business plan and lay out your goals and where you see your farm in the future. You will also need to be very clear about the financial viability of your farm. Getting to grips with the industry that you are heading into will require time and effort and research. If you have always dreamt of walking through fields instead of office cubicles, then you may want to begin acquainting yourself with various agricultural techniques so that you can be fully prepared. With current reforms in the policies towards land in South Africa, there is a lot of chance for young entrepreneurs to take these opportunities and run with them. Accessing land for first-time farmers should become easier and it is an exciting time to get involved. The type of farming that you intend to go into will be dependent on the location of the land or vice versa. Make sure that you do as much research as possible when looking for the right farm so that you can be fully prepared for the specification of the particular type of agriculture on which you’re going to be focusing. Consider what it is that the market needs more of and try to produce that. Demand for your product, or the ability to create demand, is going to be the make or break of the success of your farm. Remember that you will need capital not only for the land but also for the livestock, equipment or other necessities to get your farm going. Small-scale farmers are offered unsecured loans of R25 000 by banks with the Land Bank supporting disadvantaged farmers in order to help them become commercial participants. This is done through Agricultural Entrepreneurship. Loans from the Land Bank can be a short, medium, long-term or Instalment Sale Finance where the goods that you buy will act as security for the loan. This is a real help for farmers with limited assets that want to grow their business. In order to start on this venture have a look at farms that are available and find the business that will be the best for you.